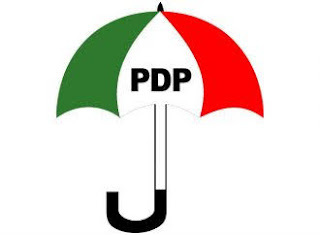 The Peoples Democratic Party candidate, Alhaji Kawuwa Malala, has been declared the winner of Dukku North Constituency bye-election into the Gombe State House of Assembly. The Returning Officer, Prof. Mohammed Saidu, announced the results in Malala, Dukku Local Government Area of the state on Sunday. He said Malala polled 7,060 votes to defeat his opponent of the APC, Alhaji-Alhaji Inuwa, who scored 4,023 votes. Saidu further said the candidate of ADPM, Yakubu Abubakar, scored 31 votes while Sirajo Mohammed of LP scored 29 votes. The returning officer also disclosed that Mohammed Hashidu of GPN scored 29, Mohammed Mohammed of AA got 08 votes while Abubakar Hashidu of AP got 08 votes. He said that PDP candidate, having satisfied the requirement of the law and scored the highest number of votes, was declared the winner and returned elected. Siadu said three polling units with 1,700 votes cast were affected by irregularities and had those votes cancelled. According to him, the cancellation will not affect the election, based on the electoral law. Malala expressed his happiness and assured his constituents of good representation at the Assembly. He solicited for the maximum cooperation and advice of the people to enable him to achieve his electoral promises for the development of the constituency. The wards are Hashidu, Jamari, Lafiya, Malala, Wuro-Tale and Zaune. Malala replaces late Alhaji Gambo Kabade of the People Democratic Party who died in June 2017.